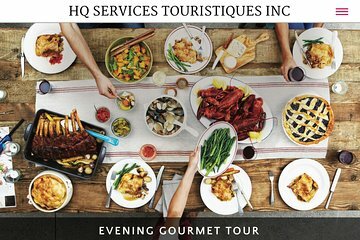 Immerse yourself in French-Canadian history and devour culinary delights on this 3-hour gourmet food tour of Québec City. Meet your guide in the center of Old Quebec and set out on foot to discover historic sights like St. John Gate, Québec City Hall, and Royale Square. Follow your guide to some of the city's top restaurants as you indulge in a five-course tasting menu that includes organic charcuterie, wine pairings, and a classic flambé prepared right at your table. Group size is limited to 10 for a more personal experience.